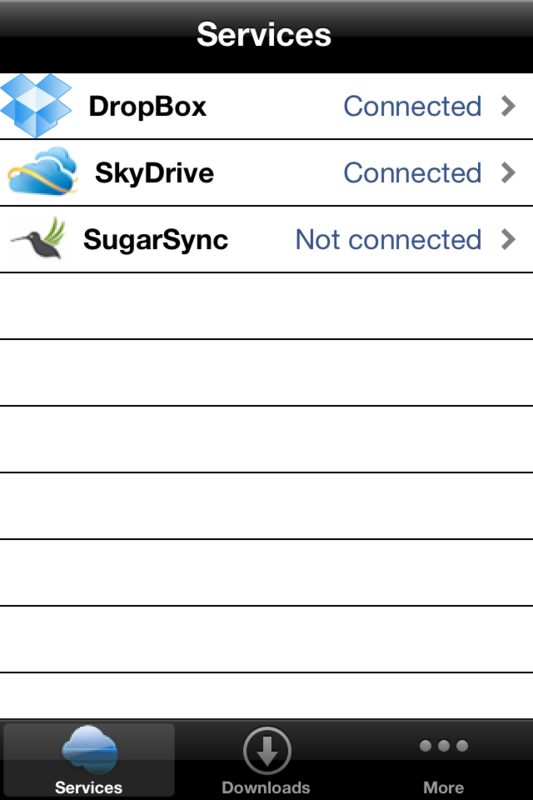 If you wish to connect to the SugarSync service, click on the fourth line and you will be taken to the screen depicted on the second image. 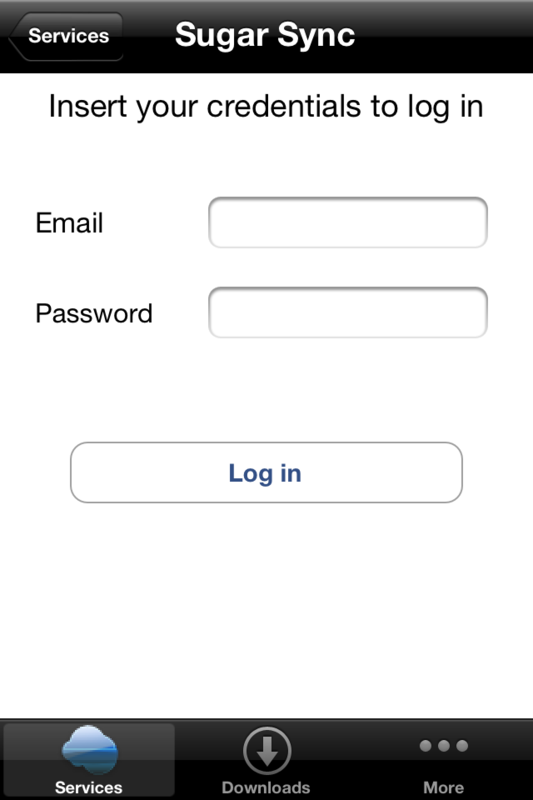 There you give your credentials, i.e., your email and password, and you click on the "Log in" button to connect. Now, when you select a file, you will see the menu that is shown in the picture. This menu shows the three choices that you have, i.e., copy, move or delete the selected file. Did you notice the text in blue color? That text describes your choice for that particular file. So, in this example, we chose to copy the selected file. Due to space limitation, we removed the checkmark symbol for the files that are selected. Now, on the right side of all selected files there will be a text, in blue color, describing your choice for that file.